The Super Bowl is the annual final game of the US National Football League (NFL). The day of the game is considered by many fans as an unofficial holiday called "Super Bowl Sunday." 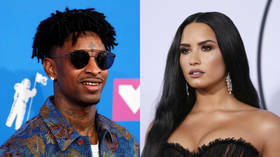 Singer Demi Lovato has endured the wrath of Twitter, being forced to delete her account after claiming her "favorite part" of Super Bowl LIII were memes poking fun at rapper 21 Savage, currently detained by US immigration. 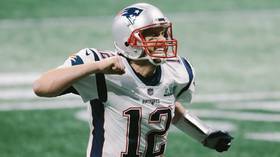 Recap RT Sport's live updates as the New England Patriots edged a tight, tense Super Bowl LIII over the Los Angeles Rams in Atlanta, Georgia.